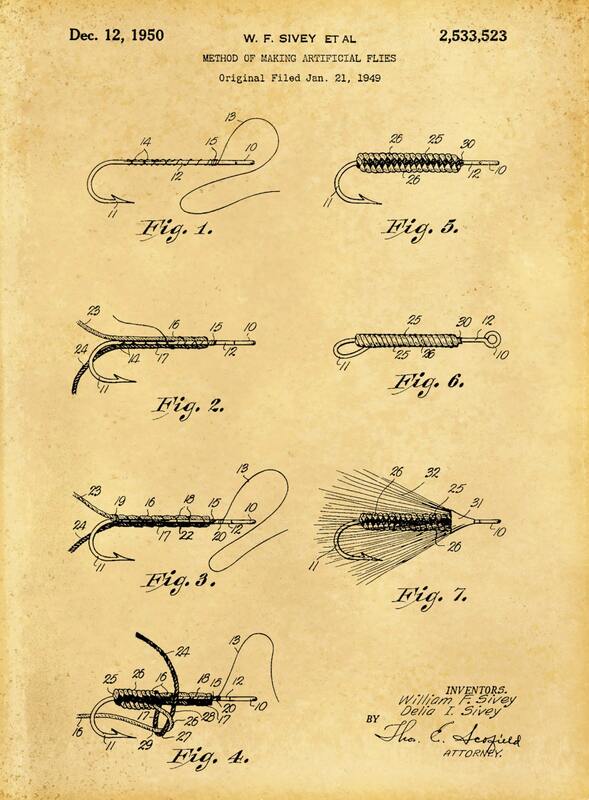 1950 Fishing Lures and Flies designed by William Sivey; how to tie fishing flies. The United States Patent and Trademark office issued the patent on December 12, 1950. 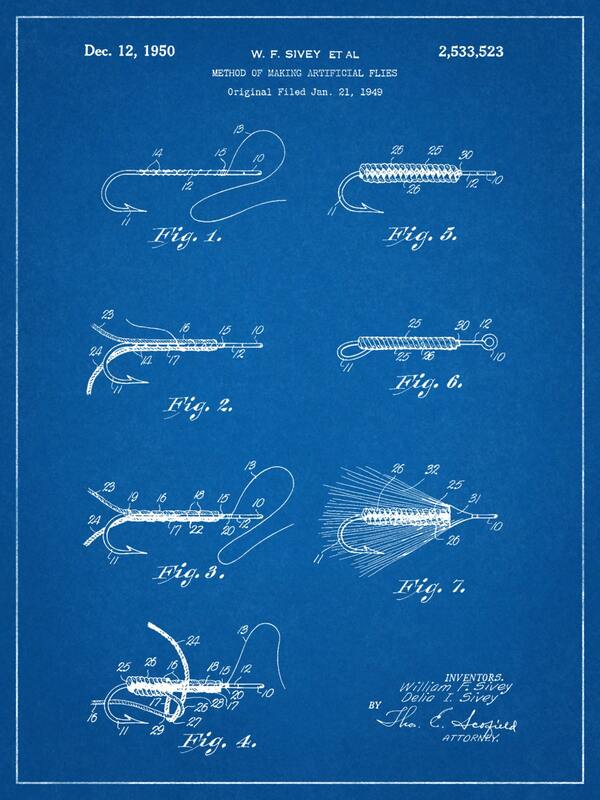 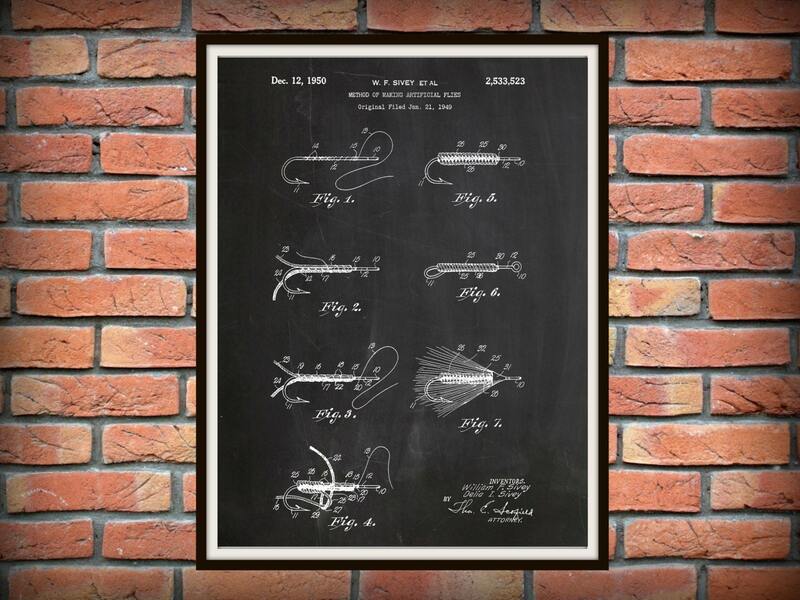 This patent was intended for teaching how to make and tie fishing lures and flies for fishing.